New Zealand’s biggest city is packed with attractions – for nature lovers, culture buﬀs and adrenaline junkies alike. Imagine you’re about to visit a city called “The Isthmus Of A Thousand Lovers”. Imagine that it has the largest Polynesian population in the world, with a vibrant cosmopolitan culture, fabulous food and world-class local wine, and that it enjoys a spectacular setting between two natural harbours. Well, Auckland in New Zealand’s North Island may have lost its evocative Maori title, but it’s attracting more and more discerning cruisers. And when your ship docks in the heart of town you’ll soon discover that Auckland – by any name – is a place to take your breath away. 08:30 Up for a walking or cycling tour? 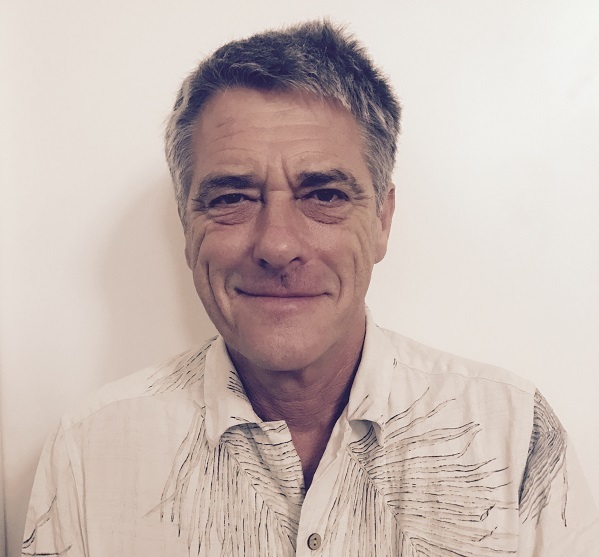 Several are offered – via any search engine – that will give you an informed and enjoyable two-hour introduction to Auckland’s history, taking in many of the city’s major attractions. You’ll only see them from the outside – but then you can choose which to come back to under your own steam. 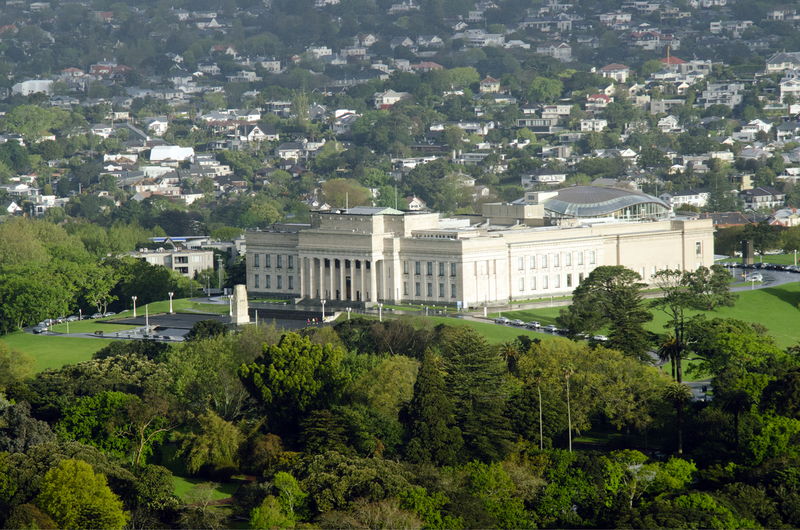 09:00 If you’re after a more gentle start to the day, catch a cab to Auckland Domain, the city’s oldest park. Just two miles from the cruise terminal, this inner-city oasis opened in the 1840s around the crater of an extinct volcano, Pukekawa. Despite its origins, everything about Auckland Domain will be reassuringly familiar to British visitors – there’s a cricket pavilion, a cenotaph, a bandstand, a winter garden and Victorian-style glasshouses protecting tender plants. In other words, it’s just the place for a nice sit-down and a reviving cup of tea. 10:00 For the best view of the city, traditionalists insist you need to stand between the imposing neo-classical columns of the War Memorial Museum, built on the highest point in the park. Those interested in military history will love the exhibits, which stretch from the Boer War through the two world wars, in which thousands of New Zealanders died fighting for Britain, to the present day. But most one-day passengers will spend more time in the Maori Gallery, which holds the finest collection of New Zealand’s rich indigenous culture outside the national museum in Wellington. If you have time, make the detour a few blocks away to the Auckland Art Gallery, which was given a transforming renovation in 2010, for an insight into the local art scene. 12:00 Time for lunch. Takapuna Beach Cafe has the best gelato in Auckland, with great views of Rangitoto Island and the city, and it’s only a 15-minute bus ride from the central business district. Or you can wander down Ponsonby Road, the city’s best shopping street, and choose from Ponsonby Central, Burger Burger, Blue Breeze Inn or Foxtrot Parlour. Alternatively you can take the ferry over to Waiheke Island for lunch at Mudbrick or Cable Bay. 13:30 Now you have a choice. If you’re sure you can catch the return ferry in time to meet your cruise departure, head over to Rangitoto Island Scenic Reserve. This is Auckland’s youngest and tallest volcano, a 25-minute ferry ride from the wharves near your cruise terminal. Its terrain of dense forest and lava caves is ever-popular with hikers, but there’s a “road train” to take the strain if you don’t feel up to the 45-minute ascent to the summit. The last ferry returns at 3.30pm (4pm weekends). 15:00 But why rush? Kiwis are famously laid-back and their largest city (population 1.6 million) is as safe to explore at your own pace as any in the world. Visit the shops, buy a few souvenirs, then head back to the harbour. This remains Auckland’s most fascinating European-era district, home to navigators throughout the ages – including Team New Zealand, skippered by Russell Coutts and led by Sir Peter Blake, which won the America’s Cup in 1995. Black Magic, the winning yacht, is now a prize exhibit of the New Zealand Maritime Museum, but sailing has been part of Auckland’s psyche ever since the first Maoris arrived, so if you’d like an authentic insight into the origins of those who call the Land of the Long White Cloud their home, it’s well worth taking a peek. Last entry to the museum is 4pm, but handily it’s right next to the cruise terminal. 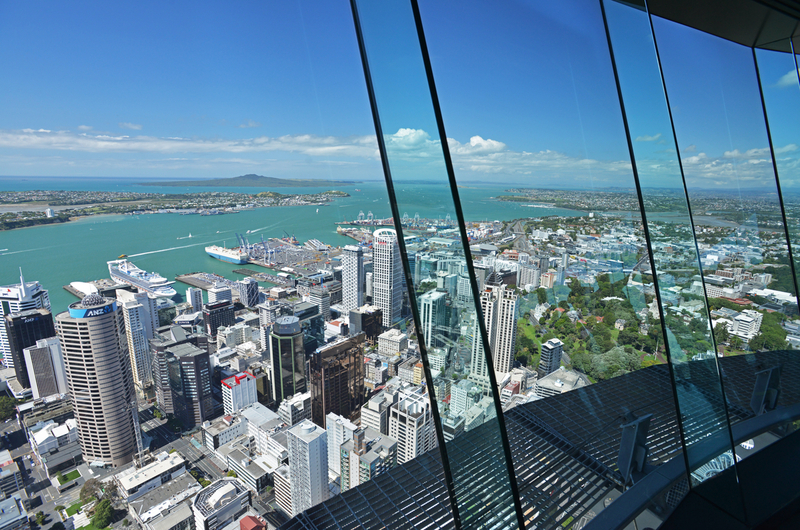 08:30 At 328 metres, the Sky Tower is New Zealand’s tallest man-made structure, offering breathtaking views of Auckland’s spectacular surroundings. Check out the child-friendly activities if you’re visiting during New Zealand’s school holidays. Adults and older kids can also don a harness, grab the overhead line and complete the circular Sky Walk (which means stepping round the edge of the pergola, 193 metres above street level, on a narrow platform open to the elements). But this is New Zealand, where bungee jumping is practically the national sport (after rugby union), and braver souls can pre-book the Sky Jump – a plunge by wire from 192 metres up (don’t forget to wave to the family on your way down). 10:30 If you’re looking for a safe introduction to the underwater world of the Finding Nemo movies, head to Kelly Tarlton’s Sea Life Aquarium. Tarlton was a marine archaeologist, diver and conservationist, who spent years building the world’s largest aquarium. Recently renovated, this now showcases more than 30 live species, including the world’s largest Antarctic penguin colony, seen through underwater tunnels. Book in advance if the family fancies diving or snorkelling with real sharks. Don’t worry: they’re harmless, but it’s still pretty nerve-tingling when you get in the water alongside them. 13:00 Built on a large wetland just a few minutes from Auckland airport, Butterfly Creek is home to more than 800 free-flying butterflies and moths housed in a tranquil tropical butterfly house (you might see the world’s largest moth, with a wingspan the size of a man’s foot). But there’s a plethora of other attractions that will keep children amused: crocodiles, tarantulas, monkeys, farm animals (can you really visit New Zealand without petting a sheep?) – and dinosaurs. OK, the latter is an interactive experience, but the highlight of Dinosaur Kingdom is watching a Triceratops mother protecting her young from a hungry T-rex. There’s also a train ride and a free adventure playground. 15:30 MOTAT (the Museum of Transport and Technology, a ten-minute taxi ride from the wharf) is Auckland’s most family-friendly museum, with a host of interactive exhibits and displays designed to pique the curiosity of young and old alike. Spread over 40 acres, it explores the technological advances that have shaped the country from the 1880s to today, but with an irrepressible sense of fun. Here you can step back into New Zealand’s colonial past, with pioneer-era shops, a church and a school house, steam engines and horse-drawn cart rides. Or you can see how today’s wifi and computers have overcome the country’s geographical remoteness from the rest of the world. Then check out the arcade, where dads can dust off their gaming skills and trounce their kids at Pac-Man or Donkey Kong. 3. BEEN THERE? GO HERE! The Alexander family have owned their 1,250- acre sheep and cattle station in the impossibly picturesque Waikato region since 1988. But their fortunes changed for ever when film director Peter Jackson came looking for somewhere to film his epic Lord of the Rings cycle. 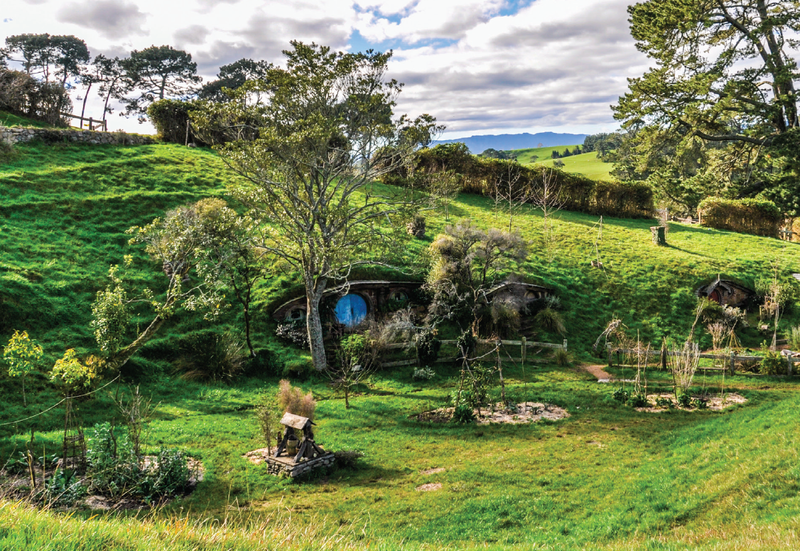 New Zealand-born Jackson had scoured the four corners of his native land for idyllic locations to serve as The Shire, home of hobbits Bilbo and Frodo Baggins. Yet on the Alexanders’ land he found everything he needed within just 12 acres of rolling scenery that you’ll recognise as soon as you see it. Scenes from all six blockbusters were filmed here, and the location was opened to the public in 2011 after an extensive makeover under the supervision of Jackson’s art director. There is no other movie set in the world quite like it. Your tour guide will show you exactly where those iconic encounters starring Ian McKellen, Elijah Wood or Martin Freeman were staged. But you’ll also learn many of the movie industry’s technical secrets. That famous tree above Bilbo’s Hole looks real enough but it’s actually a steel construction with 200,000 fake leaves painstakingly sewn on. The sunset that Gandalf and Bilbo enjoy at Bag End while smoking a pipe? Bilbo’s Hole faces east, so Jackson filmed seven sunrises, had them reversed, and chose the best. Your tour will finish at The Green Dragon, where you can pose by the fireside in a comfy armchair and pretend you’re a hobbit while drinking a South Farthing ale “brewed here in Middle Earth”. Are you an amateur ornothologist? 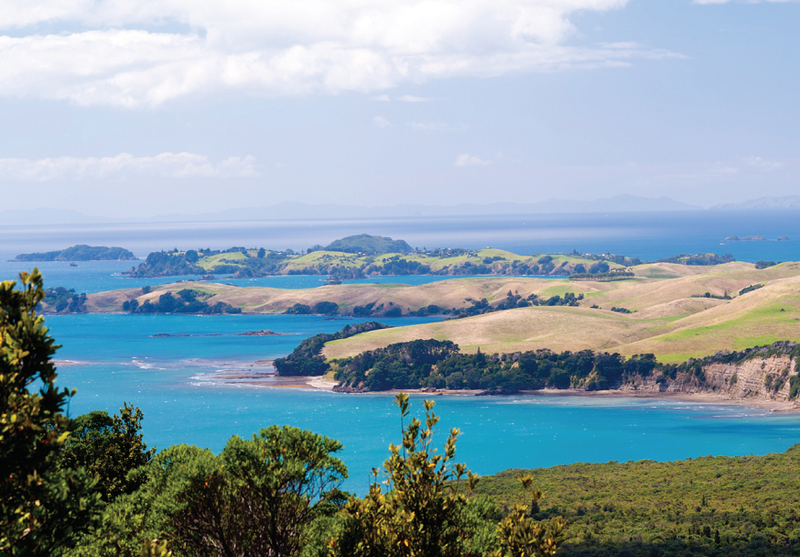 Then catch the 75-minute ferry ride from Auckland to Tiritiri Matangi in the Hauraki Gulf – perhaps New Zealand’s most beautiful bird sanctuary, with the silence split only by the birdsong of 74 species. Just 150 visitors a day are allowed on the 550 acre island (the name means “tossed by wind”), which is regarded as one of the world’s most successful rehabilitation projects. Volunteers have planted around 300,000 trees and work hard to keep the island predator-free, leading to the return of many endangered bird species, including the little spotted kiwi, the North Island robin and the takahe (once thought extinct). 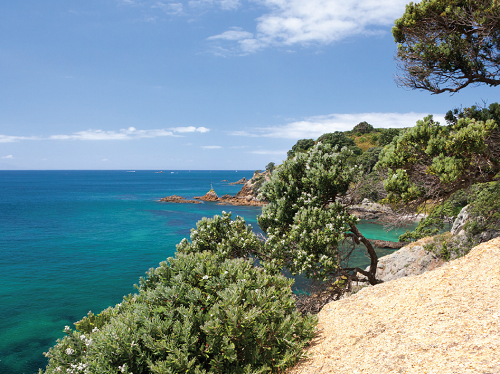 Tiritiri Matangi is also celebrated for its fine walks, ranging in length from one to four hours. The most popular is to the 1864 lighthouse, among the country’s oldest, which for many years shone the most powerful beam in the southern hemisphere. Keep an eye out, too, for exciting marine life: dolphin, orca and stingrays often gather near the wharf. Sit back in your small boat and marvel as the darkness of this subterranean world is illuminated by one of nature’s most stunning light displays. Thousands of glow-worms – Arachnocampa luminosa, a species unique to New Zealand – provide a galaxy of living stars as your guide explains the fascinating geology of this hidden wonderland, which has been enchanting visitors since tourism began here in the 19th century. Those feeling even more adventurous can consider the “Black River Rafting” option: a chance to abseil, climb, jump and float through the neighbouring (and equally stunning) Ruakuri Cave.